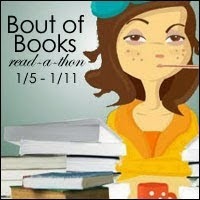 Laurie Here - Contemporary Fiction and MORE - Book Reviews: #Boutofbooks 12 Read-A-Thon #CHALLENGE time! Suggest 10 books and WHY! #Boutofbooks 12 Read-A-Thon #CHALLENGE time! Suggest 10 books and WHY! This Challenge is hosted by Trees of Reverie and we are to come up with 10 books we would suggest others to read, and we have to give a reason why! She placed a lot of emphasis on the 'why' we would suggest them, so I'll give it my BEST shot in as short of a synopsis that I can! 1. 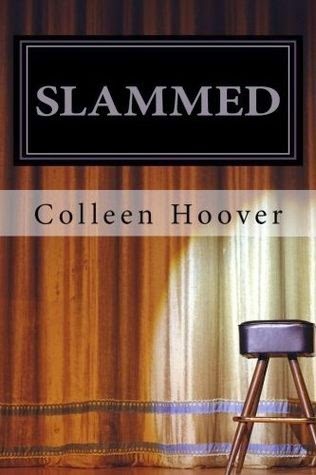 Slammed by Colleen Hoover because no matter what your age is, and even though this book takes place while Layken is in her senior year of High School, it introduces us to Slam Poetry. I had NO CLUE what Slam Poetry was! I LOVE it! (I also loved the story, too! This is the first of three books, the second is Point of Retreat, and the third is This Girl.) Enjoy! 2. 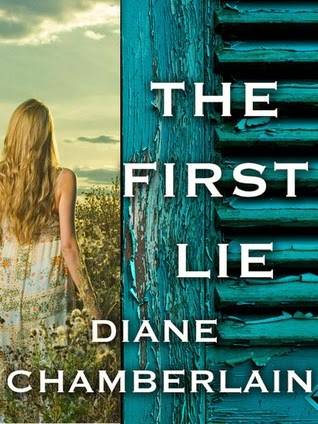 The First Lie by Diane Chamberlain This book is a prequel to the next book I am going to suggest. I will go into more detail what these two books are, but I LOVED the story, and the topic is near and dear to my heart. This book gives VITAL information that I feel is super important to start understanding the story of the full length novel. Yes, this book is a novella, but holds a LOT of information. The author wrote this after she wrote her full length novel, which is next. 3. 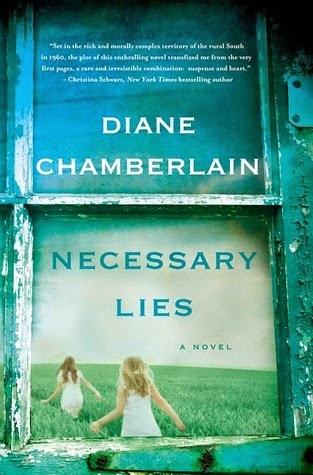 Necessary Lies by Diane Chamberlain This is the full length novel about people who are considered 'feeble minded' whether they are or are not. Just being low income can be considered enough to being feeble minded, and when anyone is considered that, the state can step in and perform a sterilization operation to prevent more feeble minded people from having children, yes, they would be sterilized. The states, this one was North Carolina, did not want more feeble minded people coming into this world. SO SAD!!! When I was a little girl, I had a next door neighbor neighbor who was (I apologize PROFUSELY, but I don't know what the term for this condition is today???) retarded, or slower than the average person. I loved her dearly! She was the kindest person, NEVER said anything bad about other people, and was so nice! She loved to play, and would play anything I suggested! Today she is doing GREAT and DOES have a few children and she EXCELS at being a mother!! I always worried whether or not she would be able to have children (HOW did I even know that back when I was little??? I was worried they - the doctors - would make her not able to have children.) This is a book you'll never forget! 4. Mr. Miracle by Debbie Macomber - GREAT book! 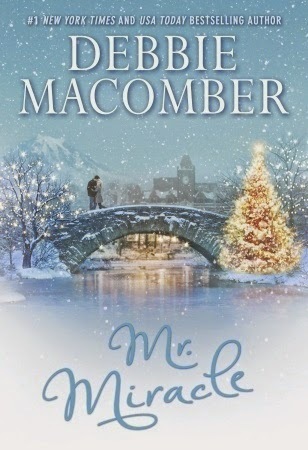 Debbie Macomber is known for her Christmas books, mostly Mrs. Miracle. Now she has introduced MR. Miracle, and what we have in store for us is AMAZING! A MALE angel! This first book was excellent! He was new to earth, and had a LOT to learn! It was hilarious at times! Debbie Macomber can write some pretty amazing books! I LOVE her writing! I LOVE reading Christmas books! LOVE them!!! 5. 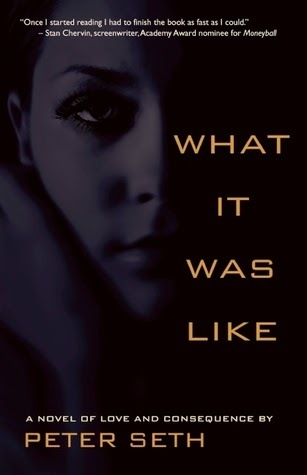 What It Was Like by Peter Seth An amazing love story about a young man and woman who met at Summer Camp as they worked as Counselors to the young kids who came. Their relationship starts at camp and takes us all the way through to their marriage and beyond. Their is quite a twist in this story you'll never forget long after you have finished this book! It is shocking! She is not quite as nice as she leads anyone to believe! This is truly quite memorable, like summer camp was, and a remarkable read! 6. 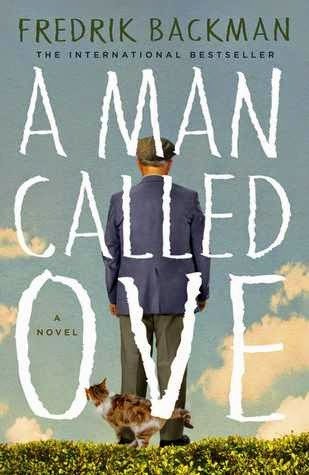 A Man Called Ove by Fredrick Backman Even though this is a mean old man, you can't help but to feel sorry for him! He's had quite a life and there is a reason why he's so cranky and mean! This story will stick in your heart! 7. 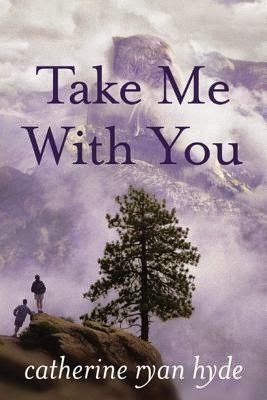 Take Me With You by Catherine Ryan Hyde ANY book this author writes is memorable! A man who has lost his son ends up taking two boys with him on his trip he was supposed to take his son on to Yellowstone National Park. His memories come flooding back, but he really did need to take these boys with him to help him heal. This book will stay with you, too. 8. 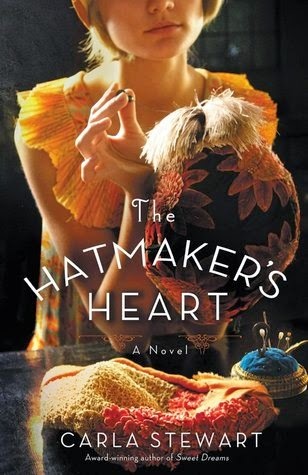 The Hatmaker's Heart by Carla Stewart This book takes place in the 1920's, and she is a hat designer, or wants to be. It takes us through her life, and she wants nothing more out of life than to do this. A wonderful story that will stay with you! Don't miss this one! 9. 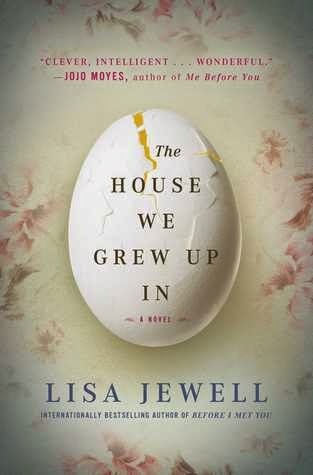 The House We Grew Up In by Lisa Jewel A family and it's troubles. This book was enjoyable to read, upsetting at times as in real life, very realistic, and shows how forgiveness heals and helps the family to move on! 10. 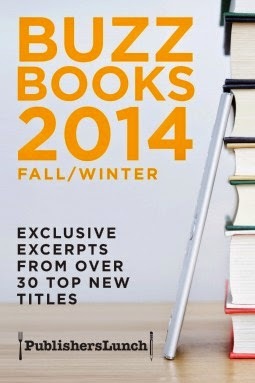 Buzz Books 2014 Fall/Winter by Lunch Publishers This book had the Fall/Winter books to pick and choose from from NetGalley! I LOVED being able to read the 1st chapters of all kinds of books, and not only that, but we were able to pick them FROM NetGalley right FROM the book! Of course you had to have the book in the ebook format in order to be able to do that. I chose I don't know HOW many! I LOVED it! I did get behind in reading them all because I did choose SO many! I LOVED it, though!! LOVED it! For anyone who was not a Reviewer, it is STILL a GREAT book to be able to read so you could pick and choose what books you wanted to read for the Fall/Winter! Don't pass these by when they come out! The next book will be Buzz Books Spring/Summer! I don't know the release date, though, sorry! There were 2 editions of this book. A Young Adult version and an Adult version. I read the Adult version since those are the books I prefer to read and write reviews about. AND - just in case no one thinks #10 doesn't count, I'll offer one more book suggestion! 11. 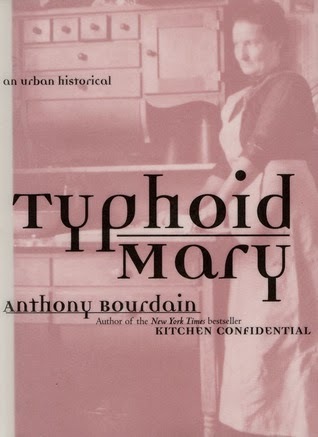 Typhoid Mary, An Urban Historical by Anthony Bourdain Wow! This book read just like he talks on ALL the TV shows he hosts! I always wondered about Typhoid Mary, and I sure learned a LOT! Everyone should read this book because if you don't wash your hands after toileting, you WILL now! Or if you know of someone who does not, you'll be all over them! Bourdain did some amazing research! He told us little details we would have NEVER known about had it not been for his talent with his investigating experience! To put it bluntly, she KNEW she was a Typhoid "carrier", but had it in her stubborn head that since SHE was not sick, then HOW could others get sick fro her? Well . . . UGH!!!!!! NO! She still did NOT wash her hands, NOR did she stay OUT of the kitchen! I wish I could remember how many people they thought she infected because the number is astronomical! Even after being arrested, she was STILL making her way BACK into the kitchen! If I were alive during that time and knew what she was doing, I think I'd have put on a pair of gloves and slapped some common sense into her head! Geeze! The money was good, though, and she loved cooking, so trying to keep her out of the kitchen was futile, but . . . this is a book you should read. Also, if you have ever watched Anthony Bourdain, then you'll know how excellent this book is! Read it! Laurie, nice list! I loved A Man Called Ove, an unexpected find for me last year. Necessary Lies sounds excellent, I have a handicapped brother, although he does not suffer from mental retardation. And Typhoid Mary sounds like a must read!